How to get the best rate for an auto loan, plus a couple important tips and tricks for buying a new or used car. The larger the down payment you are willing to make, the more inclined the bank or other financial institution will be to give you the loan. Both new and used car sales continue to fluctuate, and so the demand for car loans does the same. As demand fluctuates, so do the shenanigans and other nonsense by dealership finance departments and other lenders. This page will provide you with what you need to know about getting the best possible rate on your auto loan. Failing that, it will at least keep you from getting the worst. First thing you need to do is get copies of your credit reports. You are entitled to one free report a year from each of the three major reporting agencies. 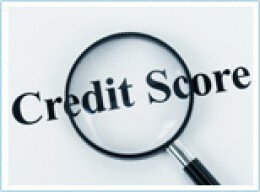 The most legitimate website to get them from is www.annualcreditreport.com. They will make you work for it by subjecting you to a bunch of sales pitches for their non-free products, but this is the site most consumer groups and others recommend. Review your reports. If you find any errors negatively impacting your credit score, you will have to jump through whatever hoops are necessary to get them fixed. Most loan officers don't even seriously bother to look at the reports; they just look at the credit score. Have the wrong credit score and you may not even be able to get an auto loan. Have an unfairly low credit score, and you will be paying hundreds and possibly even thousands more in interest over the course of your car loan, not to mention being subjected to higher monthly payments. It is imperative your credit score be as high as possible. One doesn't have to be a rocket surgeon to know the higher your credit score, the lower the interest rate on your auto loan will be. In fact, reading this Credit Score Guide for Beginners would probably be a good idea. Car dealerships and used car lots are the absolutely worst place to get an auto loan. Seriously, you might as well go to one of those loan shark outfits you see at the mini-malls. 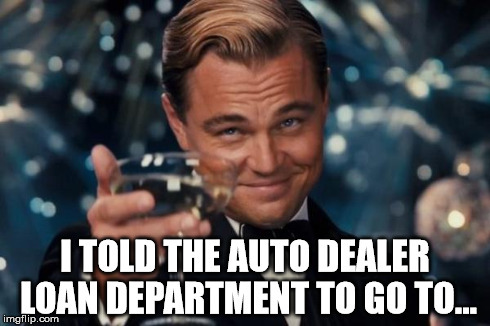 The auto dealers will use every trick in the book against you. They make as much or more money on the financing as they do on the car sale, itself. More often than not, whatever interest rate is initially promised invariably runs into a "problem"; and they will insist they can only do the financing at the higher interest rate and higher monthly payments. It's even been reported they will sometimes pull this stunt when the car is already sitting in your driveway. As a side note, by all means ask about their zero financing they constantly advertise. Problem is, somehow nobody every seems to qualify for it... If you do happen to be one of the lucky few, well and good. But don't count on it. And while we're at it... When you have decided to visit a particular dealership or used car lot, it wouldn't hurt to first check them out at RipOffReport and the BBB. trying to entice you to get an auto loan with them. Your first resource should be your existing bank or credit union. Presumably you have been with them for awhile and are considered to be a good customer. What you would really like to accomplish is to get a pre-approved auto loan from them; succeed and your problem is solved. Do not mention your pre-approved loan to the car dealer prior to closing the deal on your car purchase price. Otherwise they will raise the car price to offset the money they are not going to make from the financing. If your financial institution seems somewhat reluctant about the pre-approval idea, don't push it. Stay lovable and don't burn that bridge just yet. Ask about and pave the way to apply for an auto loan with them after you have negotiated the price for the car. Did your existing financial institution fail to come through? Fine; once you've got the car situation taken care of, your next project will be to find a better place to do your banking business. Give www.bankrate.com your regards. Select "auto" from the menu at the top of the screen. Use their search feature to see what the best auto loan rates and conditions are, etc. Don't actually make an application just yet. Check out your local banks and credit unions. Visit their websites. See what their rates, fees, and conditions are. Again, don't actually apply. There are also some worthy exclusively-internet entities out there who do car loans. Just be sure to research them first. You do not want to get tangled up with the wrong one. Network! By all means ask friends, neighbors, co-workers, etc. for recommendations as to where to get the best car loan. Applying for an auto loan at a place where you can use an existing good customer as a reference certainly won't hurt. Also be attuned to what people say about auto loan places to avoid. This is all a pain in the neck. But even a 1% loan rate savings can add up to a significant amount of money over time. Well, you've cleaned up your credit report and have done your research. Time to apply for the loan. You are implying you have no concerns about being accepted for the loan, your only concerns are as to terms. Appearing confident favorably affects perception. You will not appear desperate or sneaky when it is noted you are making multiply inquiries. Induces competition and a sense of urgency as to interest rate offered and quickness of response. In some cases you will have the option to apply in person or via their website. Put some thought into what would work best for you in that particular situation. Do make all your applications within a 30-day time frame. 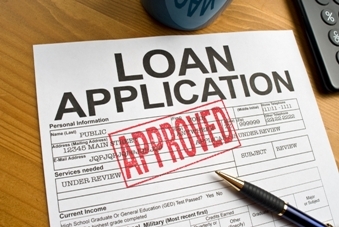 Multiple loan application inquires will reduce your credit score. But if you make all your duplicate applications within a 30-day period, it is supposed to be categorized as only one inquiry by the credit reporting agencies. The above information should work equally well as to getting the best motorcycle, truck, boat, or even airplane loan rates. However, if the boat or airplane is over a 100K, then you can probably afford to get a financial adviser involved. Preferably one with lending institution connections. Yes, getting the best auto, truck, or SUV loan rates can be a lot of work and a pain in general. The more effort you put in to it, the more money you can save. One thing you can do is to make the project an iterative process, i.e., don't try to do it all at once. Just do one or two aspects a day. It will be done before you know it. 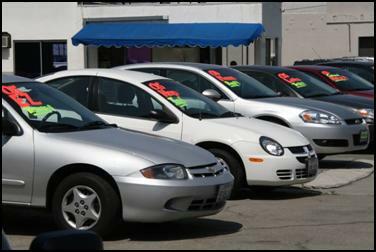 There are reports saying buyers can get a better price through the website than through going to the car lot. There may even be a choice of websites, i.e., manufacturer website vs. dealership website. Every manufacturer does things their own way. As an example, the manufacturer website may simply refer you to the appropriate dealership website. Or not. Things are always changing. It should also be noted more and more dealerships are directly owned by the manufacturer. 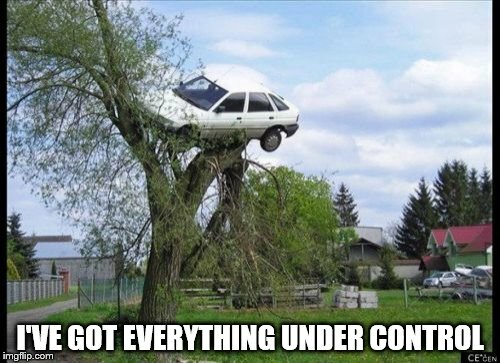 When a dealership takes a car in trade-in, generally one of two things will happen to it. If the dealership thinks it is a good car which will outlast their warranty program, they will give it a tune-up, detail it, and put it in their used car section. If they don't think it's such a good car, they'll sell it off at a wholesalers' auction and it ends up in some used car lot. What is the significance of this to the used car buyer? The better cared for, more reliable cars are to be found in dealership used car sections. The more tired, riskier cars are generally at places exclusively selling used cars. 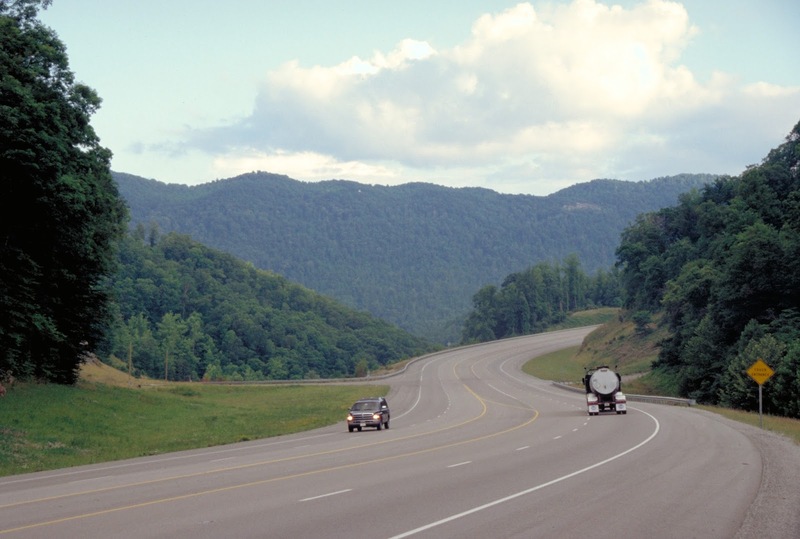 For folks who want accurate miles-per-gallon and cost-per-mile answers. For quick, easy answers; simply use the MPG and CPM formula templates and you're done. This page will serve you well if your gas gauge is broken, inaccurate, or is otherwise giving you problems. Or if you just want to know how well your car is doing. Can also be used for possibly figuring out ways to improve your mileage. Needless to say, one needs to know the miles driven, how much gas was used, and the price of the gas before the templates will be of any use to you. If you do not already have these numbers, Section I below has everything you need to know on how to get started.
" Ω " Handy Google calculator. Opens in a separate tab or window. Both " / " and " ÷ " means divide. After arriving at the calculator and before entering numbers, you will need to click its numbers box first to get its attention. As previously mentioned, if you are just looking for approximate answers, then you can simply use the templates and call it a day. If you are looking for the most accurate results possible, see Section I. You drove 100 miles and used 5 gallons of gas. Your intuitive answer would be 20 miles-per-gallon. Your intuitive answer would be correct. 100 miles traveled, divided by 5 gallons of gas used, gives you 20 miles per gallon. 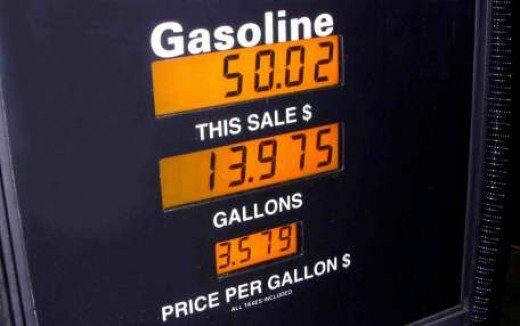 You paid $5 for a gallon of gas, and you get 10 miles-per-gallon (mpg). Your intuitive answer would be $.50 a mile. Your intuitive answer would be correct. $5 paid, divided by 10 miles traveled per gallon (mpg), gives you $.50 cost per mile. ...gets so many miles per gallon. A different gas station or pump was used? Not all stations and pumps are the same. A different pump fill speed was used? The tank was filled at a different time of day? Temperature affects fluid density, first thing in the morning is best; that is when the gas is coldest and most dense. A different brand and/or grade of gasoline was used? See Section II. A different commute route was tried? Deficiencies were found as to the vehicle's maintenance? The vehicle's ignition timing was experimented with (but staying within smog emission specifications)? See Section II. The driver notices and alters a particular driving habit? Probably other ideas might also come to mind over time. If you are looking to get the most accurate results possible, this procedure will help you do that. If you are just looking for an approximation, then you can skip it all and fill in the templates with your existing numbers. Pick a week, or other time period, when you will be doing your most typical driving pattern. Have two pens and paper in the car. Use the gas station you normally use. Fill the gas tank at your usual time. Note the pump number you are using. Note the pump speed you normally use. Do not top off. While waiting, write down your odometer reading, include tenths. If you have a trip-odometer, reset it to zero. Remember to not be distracted by all this to the point you forget to put back the gas cap. Commence with your week; the usual work commute, errands, etc. 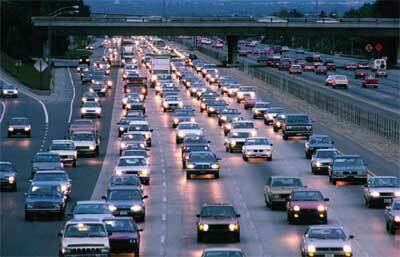 Combining your work commute with errands will increase your gas mileage, but only do so if it is what you intend to usually do. Continue your routine until you have less than a quarter-tank. Don't strive for a gas-gauge reading of empty unless it is what you normally do. Make sure you still have the pens and paper in your car. At the same time of day as before, return to your previous gas station. Proceed with your normal routine. You'll do the calculations with the templates at your leisure. Tune-ups and tire pressure: These are the Big Two as to getting the best mileage. A couple notes... Over-inflating tires increases gas mileage, but causes an immediate and significant increase in tire wear; so don't do that. Under-inflated tires reduce your mileage; and it doesn't do your sidewalls any good either. As for tune ups, spark plugs are especially important. A fouled or carbon-built-up plug reduces mileage drastically, not to mention it will probably cause you to flunk a smog check. A personal note: Two different mechanics quoted me a price of over $100 to change a set of 6 spark plugs, plus the inflated cost of the plugs. In both cases, I departed the premises immediately. I ended up changing the plugs myself, it's not that hard to learn to do. Buy yourself a Chilton or Haynes manual for your particular make and model of car, they have all sorts of useful information. Some auto parts stores even have tool-loaner programs if you don't want to buy your own. Looking ahead and coasting up to stop lights: Is a close third. Speed: Once you are above 40 mph or so; the faster you go, the lower your mileage. Ethanol: Do you have ethanol-times-of-year versus non-ethanol-times-of-year? It can be interesting to make mileage comparisons between the two. You probably won't be happy with the ethanol results. Gasoline Grade: Putting premium in a car that takes regular will do absolutely nothing for your mileage. However, if your car is in the midgrade octane category and what with there being some octane rating overlap, it might be worth experimenting with trying both the lower and higher octanes; especially if you are also experimenting with the ignition timing. Temperature and humidity: Mileage is better during cooler times of the year than during heatwaves. And the higher the humidity, the better the mileage. Yep, one does get better mileage on rainy days. Air filter: When is the last time you replaced the air filter? A clogged air filter does reduce mileage. Fuel density and time of day: As mentioned earlier, always fill your tank first thing in the morning. Fluid density is affected by temperature. The colder it is, the more gas you get per gallon. Logbook: If so inclined, this is as good a time as any to start one, especially if you want to try any of the aforementioned experiments.. I thought I'd include a couple of useful federal websites for your future reference. Both are worth browsing the next time you have some time to kill. From www.epa.gov/air-pollution-transportation. 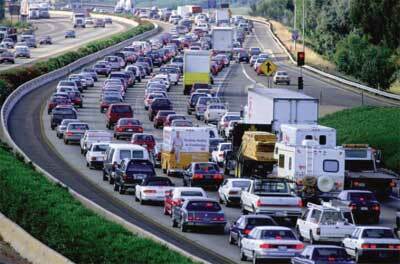 Has all sorts of links regarding vehicles and fuel efficiency and saving gas in general. From www.fueleconomy.gov/trip. This goes directly to their trip calculator page. What makes this calculator unique is you can specify the make and model of car you are using or are curious about. In addition to the total fuel cost calculation, they throw in a map and text directions as well. The rest of the site is also worth browsing. Basically, it is not a pretty picture. Unfortunately, credit reports and scores don't just affect interest rates on loans and credit lines; not to mention being outright refused for credit altogether. Insurance companies also use your credit score as one of the factors in determining the premium amounts for your life, home, and auto policies. Landlords use your credit report to decide whether to rent to you or not. Cell phone and cable companies use it to decide whether to accept you as a customer or not. Other utility companies use it to decide if an advance security deposit is required. Many companies (sometimes illegally) will refuse to hire you, if you have a low credit score. It's as if the whole system was designed to mimic nature's law of the jungle, i.e. ; once you are down, it "conspires" to keep you that way or outright "kill" you altogether. FICO is the most commonly used credit reporting system used by lenders, insurance companies, landlords, employers, utility companies, etc. These are the components and numbers Fair Isaac have publicly claimed. However, it is reasonable to suspect there are proprietary, additional factors behind the scenes; debt ratios, unused credit, employment history being primary examples. Pay your bills on time, this one is an absolute necessity. To do otherwise signifies financial problems or irresponsibility, both of which are major red flags. Keep your debt as low as possible, relative to your credit-lines. Maxed-out credit-lines are death. Unfortunately, the opposite is also true. Having an excessively large, unused credit-line available will lower your score. Excessively large credit-lines tend to eventually be used and potential creditors are leery of that. Don't suddenly close most of your credit lines and/or card accounts. This will mess up your debt-to-limit ratio and lower your score significantly. Moderately used, active credit lines and accounts seem to be what lenders like to see. Apply for credit as seldom as possible and avoid department store credit cards. Co-signing loans is a very bad idea,"Top 10 reasons not to co-sign on a loan" from Bankrate. Student loan debt can hurt your credit score. The IRS reports delinquent taxes, unknown if that includes those under dispute. Cities and counties report unpaid parking tickets and unpaid library fines. And it is a pretty good bet that includes any that are disputed. Cities and counties also report what you owe when you are unable to retrieve your car from impound. Reconcile your credit card statements every month. Inaccuracies, invalid charges, overlooked-no-longer-needed monthly charges, and outright ID theft happen much more often than you might think. Check your credit report at least once a year. Fatal inaccuracies occur often in these reports. In fact, credit reporting agencies are famous for it. You are legally entitled to one free credit report a year from each of the credit reporting agencies. Pretty much all of the reputable consumer-related-advice websites recommend annualcreditreport.com as the place to get your free credit reports. The site will subject you to a lot of advertising pitches along the way, but eventually you'll get the free reports unscathed. Credit card companies and banks generally rob their customers blind when it comes to cash advance fees; so don't do that. There is also the possibility that your willingness to pay those high fees might be interpreted as a sign of desperation by the lending institution. Likewise, avoid those loan places you see in the mini-malls like the plague. Having one of those places showing up on your credit report would be 10 times more destructive than any mentions of department store credit cards could ever be. An Update. Credit bureaus now report to prospective mortgage lenders as to whether an applicant pays their credit card bill(s) in full each month or only makes the minimum payment(s), etc. Depending on which credit bureau is dong the rating, credit scores range approximately from 300 to 850. The credit score sub-ranges listed below are likewise approximations, but they will give you a good idea as to where you stand. There is a small overlap in the ranges. This has to do with the fact that some loan officers will look beyond just the number and actually read the report; but unfortunately, there are many lending institutions who don't. Some aspects of this segment are of a "humorous" nature, but there is seriousness behind the "humor". If your credit score is at or below 500, you are basically dead in the water. If you are in this category, then as far as society is concerned, you are not worthy to live. Not only does society classify you as unworthy/poor/destitute; it will do everything in its power to keep you that way. Want to rent an apartment? Forget it. Apartments aren't rented to people with credit scores at and under 500. As far as society is concerned, you deserve and should be homeless. Want to buy a car, get a checking account, or get a debit or credit card? Forget it. Forget it. And forget it. Do you think there just might be something wrong with this system? Many people will agree with you. Attempting any kind of credit related or other business transaction when your credit score is in the 500 to low 600 range is extremely difficult. If you are able to get a credit related account or successfully initiate any other sort of business transaction, you will be subjected to the worst possible interest rates, fees, and security deposit amounts. In this range society doesn't consider you a credit risk, but entities you attempt to do business with will pretend they think you are. Negotiation is possible here. Sometimes, just say no. It might work. It might not. You have the option to walk away and try somewhere else. Although told in a "humorous" light and different words would be used in the actual situation, the description of the results is dead on accurate. And on an even more serious note, one should never get an auto loan from a car dealership or used car lot anyway. If/When you are in the market for your next car, this How to Get a Car Loan article will save you much grief and money. When your credit score is in the 720 to 799 range, better interest rates on loans and credit lines start becoming available to you. Getting a house or car loan at favorable rates is usually a routine matter. And if your credit score is actually in the 800 range,you are a Living God and can do no wrong. Creditors follow you around, scattering flower petals in front of you wherever you go. Little angels hover around and protect and nurture you. Rainbows are visible at every corner. Here's a list of resources as to the rights consumers are legally supposed to have when dealing with credit and credit scores. All listed websites are government or other well-known, reputable sources. All links go directly to the website's consumer credit rights page. This list is just starting out and may be added to from time to time. www.consumer.ftc.gov/..., a summary of your rights under the Fair Credit Reporting Act. www.consumer.ftc.gov/..., jeez, this page has a list of links that pretty much obviates the need for me adding any more federal links here. California Attorney General's Office Protecting Consumers page, includes credit-related items and some possibly helpful complaint resources. Consumer Affairs Checklist of Significant California and Federal Consumer Laws, an index to text of actual laws, including those having to do with credit. 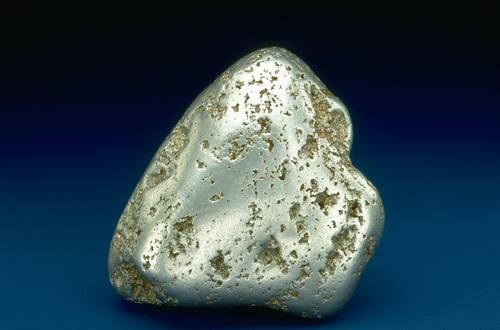 Platinum, rhodium and palladium are some of the elements known as platinum-group metals, otherwise known as PGM's. The PGM's reside in the honeycomb region of the catalytic converter. The much-older catalytic converters originally used pellets, before the more efficient and less expensive honeycomb design came into use. The amounts and proportions of PGM's depends on the age and type of vehicle. Cars, light-duty trucks, and motorcycles average total is 2-6 grams. Larger-engine SUV's and trucks average total can range anywhere from 6-30 grams. 28.35 grams equals an avoirdupois ounce. 31.1 grams equals a troy ounce. Gasoline-powered-vehicle catalytic converters use all three of the aforementioned rare-earth metals. Diesel-powered-vehicle catalytic converters use only platinum and rhodium. How Much Is a Catalytic Converter Worth? Depending on the age and type of vehicle, the PGM's in a catalytic converter can be worth anywhere from $150 to a very rare $800. The new and/or smaller cars being closer to $150. The larger, older vehicles being closer to $400 and up. As for that $800, maybe if you own a tank. Do keep in mind that what the PGM's are worth is not what you will be paid. There is the labor, cost of metal extraction, overhead, and the buyer's expected profit margin; not to mention the greed factor. It would also be wise to be able to prove ownership. Otherwise, a phone call might be being made inside while you are talking with the potential buyer outside. Driving in with the actual vehicle or at least the vehicle's paperwork will give you more legitimacy and probably even a higher price. And for goodness sake, do ask around and shop around. Platinum has been currently bouncing around the $800 an ounce or $25 a gram range as of January, 2019. Palladium has been increasing in value over at least the last 6 months and is at around $1400 an ounce or $48 a gram range. Rhodium has been steadily rising over the last two years and is around $1800 an ounce or $58 a gram. Needless to say, prices fluctuate greatly; the value and quantity ratio of the three metals aren't exactly carved in stone either. Current prices and price-ratios can be found here for platinum and palladium, note the historical charts further down their page. Rhodium prices can be found here. Price information resources come and go. If the links stop working, a Google search will quickly find you a new one. Catalytic converters really don't add much salvage value to a scrapped or totaled car anymore, exceptions of course being the older and larger vehicles. And of course, thefts are still happening from those vehicles whose catalytic converters are easily accessible. JDpower Consumer product information. Free. Consumer Reports Consumer product information and more. Free and fee based service. Also includes some reliable oldies, but goodies. Fuel Economy EPA mileage data and info. Vehix Local dealer inventory, more. Edmunds Car buying guide, includes prices, more. AutoWeb All things auto related. CarFax Provides history of used cars. Automotive Buy new/used. Lots of other info. Cars Buy, sell, research, advice. Price Auto Outlet Used cars. Retail sales. pickapart Self-service auto recyclers, aka junkyard.